Toward adventure! 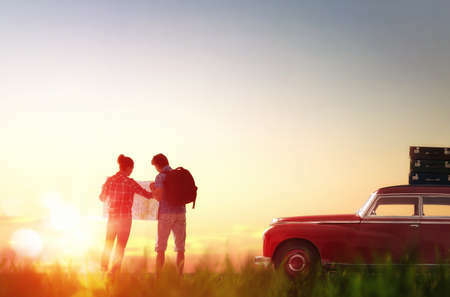 Man and woman enjoying road trip. Couple searches for a route on the map.